Original item bought by the National Library of Australia in June 1936 and is held at NLA MS 30/11. Friday 12 June 1936, page 2. The Commonwealth National Library has acquired two interesting records connected with the ill-fated Burke and Wills Expedition. The first of these is a fragmentary diary kept by John King, who was the sole survivor of the advance party of the Burke and Wills Expedition. Though fragmentary, this diary is of great interest as supplementing the other manuscript already in the Library. The diary gives some account of the country traversed, describes in some detail an encounter with the aboriginals, and contains strictures on Wright, the leader of the rear party, for prematurely giving up hope of the return of the advance party. The second item is a diary kept by R. B. Gow during his travels on pastoral business, looking for a suitable property from August 21 1860 to October 25, 1861. In his search for pastoral land Gow travelled through and gives good descriptions of, much of Victoria, South Australia, and the Murray and Darling regions. He met the Burke and Wills Expedition at its start, a few miles out of Melbourne, and was later at Menindie preparing an expedition into the interior when Wright arrived from Cooper's Creek with the first news of the disaster. Gow makes' this the occasion for a long and interesting account of the fate of the Expedition and its two leaders. Later he refers to a story of white men and camels among the blacks, which he proved had no relation to the fate of the Expedition. This diary was presented by J B Gow, Esq., of Bowden. Cheshire, England, a son of the writer. John King never mentioned that he had kept a diary on the expedition. 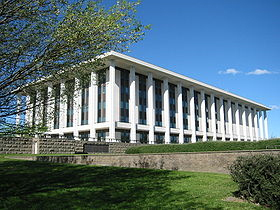 The National Library of Australia purchased a fragmented manuscript in 1936 which was attributed to King. It was transcribed and a typescript copy was made in 1962. Dr Thomas John Bergin reassesed the order of the typescript copy in 1982. Thomas John Bergin BSc(Hons), BVSc, MA, being a thesis submitted for the degree of Masters of Arts with Honours at the University of New England (Armidale) in 1982. This extract is pp. 231-250, Appendix A: The Diary of John King and relates to a manuscript held at MS30/11 (mfm3748) in the National Library of Australia in Canberra. This revised view of the manuscript has never before been published. The Diary of John King. The National Library of Australia has in its possession a manuscript indexed as Portion of the Diary of John King, Burke and Wills Expedition. Whilst there has been no published dispute to this claim there appears to have been no attempt made to establish its authenticity nor any use made of its source material. The Manuscript and Typescript Copies. The manuscript measures six inches by four inches and consists of 24 leaves, four of which are detached, and it has no covers. The writing is in faded pencil, and the style is cramped by the size and nature of the manuscript. The first three pages are numbered and are on two loose leaves, followed by a break in the script indicating the loss of a number of leaves. The subsequent pages are headed alphabetically 'a' to 's', followed by a page with no heading, followed by one headed 'T' followed by ten pages of script without headings, ending with five blank pages. A typescript copy of the manuscript entitled 'Typescript B', was made in 1962 to replace an earlier copy. History and Authenticity of the Manuscript. There were no contemporary records of John King having kept a diary. Further, although King had ample opportunity to mention a diary during the Enquiry he did not do so, despite the fact that he was questioned on the diary keeping practices of Burke and Wills. He did mention a pocketbook given to him by Burke shortly before his death, and which contained 'some notes'. However, since Burke died at the end of the journey and the manuscript in question related to events at the start of the journey, either Burke's pocket book is not the manuscript under discussion, or it indicates that the manuscript was not a diary but was written on Cooper Creek in retrospect. King indicated at the time that he considered it a personal notebook which he had not wanted to 'come into the possession of the Committee', and which, by inference, it had. He indicated at the same time that he had handed Burke's notebook to Sir William Stawell personally. No further, record of either of these documents is available until in 1909 they were acquired by the Commonwealth National Library, along with a number of other papers relating to the expedition including Wills' last field book. The source of these items was not recorded but since Burke's notebook had definitely been given to Sir William, it and the other documents quite possibly were retained by the Stawell family. In all events, the fact that King's notebook was acquired along with these verified items supports the idea that the notebook is authentic. Further, amongst the material are King's army papers and pay book. The incidents described in the manuscript are all consistent with those recorded by Burke and Wills, for example King described an incident which he stated occurred on New Years Day 1861, an aggressive display by a group of Aborigines, which was briefly mentioned in Burke's notebook also as occurring on that date. Further evidence of authenticity is the correct description of terrain which was not mentioned by either of the other survivors, for example the country‑side a day's march north of the Diamantina and the country between Swift's Range and the Selwyn Ranges. In summary, the manuscript appears to be authentic, and may have been in the possession of the family of Sir William Stawell until 1909, when it was acquired with other documents from the expedition by the National Library of Australia. The sequence of pages as given in 'Typescript B' is not consistent with the actual sequence of events. For example the passage referring to New Years Day 1861 is preceded by passages referring to the crossing of the ranges, an event which occurred a month later. This confusion in the sequence appears to have been caused by the detachment of a number of leaves and their replacement in the wrong order, and on one occasion by King losing his place and beginning to duplicate two pages. By re‑arranging the page sequence on the basis of dates given in the text, of text continuity and of comparison with the other diaries and maps, it is possible to derive the original sequence of text; and this sequence, with annotations follows. John King's Diary – Page Sequence Amended. Page 1a. (Not numbered). Writing indecipherable, page bears the printed number '51', a date and the stamp of the Commonwealth National Library. Page 1b. (1). This reference to Brahe's appointment and shaking hands with the depot team fixes the date and place as 16 December 1860 at Camp 65 on Cooper Creek. Page 2a. (2). This follows the text of 1b, and refers to 16 December 1860. Page 2b. (3). The text follows 2a and refers to 16 December 1860. This is followed by a break in the text indicating that one or more leaves are missing. Page 3b. (b). The creek which they traced for three days instead of making for Eyre's Creek must have been the Diamantina River since it is the only water between Cooper Creek and Eyre's Creek. Wills recorded that they struck it on Christmas Day 1860, so that the above, written on the third day on tracing the creek would refer to the 27 of December, and '4 day' would refer to the 28 of December. that he should not make for ears cr. Page 4a. (c). The numerals would represent the 28, 29 and 30th of December 1860. Wills and Burke both recorded the date of departure from the Diamantina across the desert as the 30th, not the 29th as King describes. Page 4b. (d). The text follows 4a and the (31st) was 31st December 1860. No page remains with text following the end of this page, suggesting that another leaf is missing. Page 5a. (e). The reference to the want of water and two buckets per day suggests that they were in the stony waterless country north of the Diamantina, i.e. ; that this is referring to 31st December still. Page 5b. (f). The text follows 5a and the change of direction to the east is shown on their map as having occurred just prior to camp LXXX, i.e. on 31st December 1860. Page 6a. (g). Text follows 5b, particularly the reference to three days without water. Page 6b. (h). Text follows 6a, and shows that this refers to 31st December 1860 and 1st January 1861. Page 7a. [Not numbered]. This page duplicates in part the information on page 6b, suggesting that initially King could not find 6b, but did so after completing 7a. Page 8a (i). Text follows 6b and refers to 1st January 1861. Page 8b. (j) . Text follows 8a. Page 9a. (k). Text follows 9b. Page 10a. (m). Text follows 9b. Page 10a. (n). Text follows 10a. Page 11a. (o). Text follows 10b. Page 11b. (p). Text follows 11a, and "struts track” probably refers to Sturt's most northerly point, reached on 8 September 1845. Page 12a. [Not numbered]. The text follows 11b as does the date (2nd January). The numeral 3 appears to refer to the next day's date, 3 January. Page 12b [Not numbered]. Text follows 12a, and the numeral 4 refers to 4 January. be seen but mud plains. Page 13a. 1Not numbered]. Text follows 12b, and concurs with Wills' entry for 5 January. Page 13b. [Not numbered]. Text follows 13a and the Numeral 6 refers to 6 January, and the entry is consistent with Wills' entry for that date. Page 14a. (q). Text follows 13b. Page 14b. (r) Text follows 14a. Page 15a. (s). Text follows 14b. Wills' recorded crossing the slaty ranges on 10 January, 1861. Page 15b. [Not numbered]. Text follows 15a. Page 16b. [Not numbered]. Text follows 16a. The remainder of the page is blank, and the diary contains no further references to the journey to the Gulf. Page 17a. [Not numbered]. Blank. Page 17b. [Not numbered]. This, dated 23rd October, was obviously written by King after his rescue by Howitt's party on 15th September, 1861. Page 18a. [Not numbered]. This must have been written after King's rescue, as this was the first opportunity he would have had to discover that Wright and Brahe had met up. Text follows 18a. Text follows 18b. This is the last entry in the diary. The manuscript in the National Library of Australia would appear to be a notebook kept by John King. It contains details of the journey from Cooper Creek to the Selwyn Ranges, and some brief notes written after his rescue. Dr Tom Bergin, © University of New England, Armidale. 1982.